NC NOW Legislative Update #11.15 April 19 includes the summary and listing of NC Senate and House bills. A terrible abortion bill, SB359/HB602, Born Alive Abortion Survivors Protection Act, is on the fast-track to be ratified. The underlying premise of the bill, that infants showing signs of life after an attempted abortion are either actively killed or left to die, is outrageous and false. If such thing were to happen, the action would be covered by existing murder and infanticide laws. 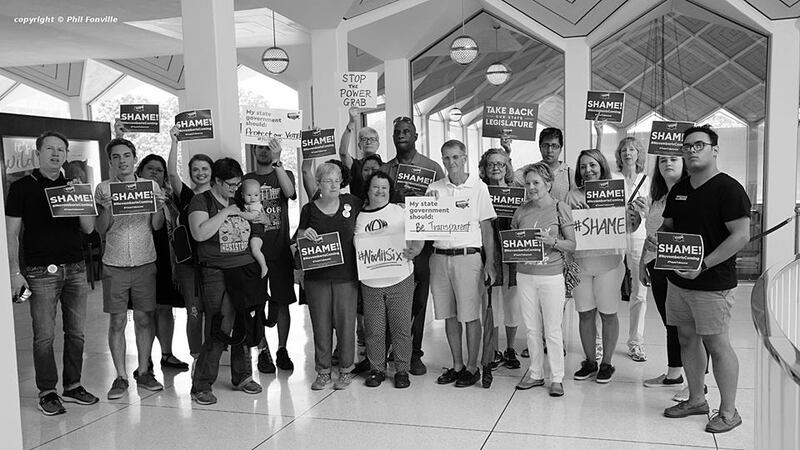 Citizen outrage sparked creativity at a protest of the latest day of this special session series, when the #NCGA was called to return on a rare Saturday to override very valid vetoes from Governor Roy Cooper. The signature costume for this event was a man dressed up in regal attire who called himself “Berger King.” The legislature voted to override the two vetoes, but the outraged citizens were speaking out and watching. First article, “Facing protesters, NC legislators override vetoes” was posted at 12:24pm on 8/4/18. Many of the protesters were returning, since they had protested one or more days of the hastily called #DeceptionSession that started on Jul 24, 2018 with fewer than 24 hours notice. Protesters went today on short notice again as the outrage grew over the last few days. 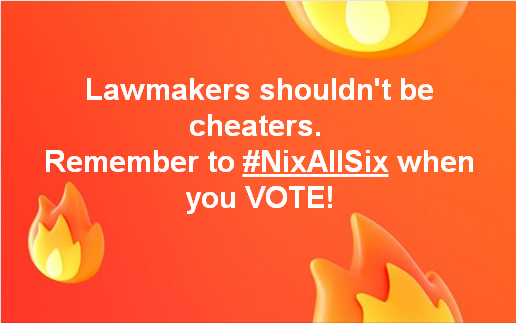 The Aug 4 session agenda included vetoes of last minute legislation intended to deceive citizens into voting away their rights in one of the bills. Should North Carolinians be tricked into giving the NC General Assembly a “blank check” to do whatever it wants to our state? NO! 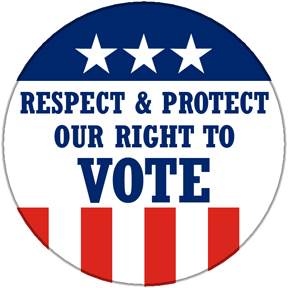 Come greet the NCGA on Saturday morning, 8/4/18, as they return to Session to try to override the Governor’s vetoes of their hastily enacted legislation intended to deceive North Carolinians into voting away their rights. Meet out front at 10:30 AM Saturday to see the legislators as they head into session at 11:00 am at the State Legislative Building at 16 W. Jones Street. It’s been another crazy week in the NCGA. Here are some highlights (lowlights) from the North_Carolina_NOW_Legislative_Update_#4_Short_Session, 10_June_2018. As expected, Governor Cooper vetoed the budget, citing inadequate funding for education and teacher pay raises, implementing unnecessary tax cuts, and the deplorable process used to pass the budget. See “Cooper vetoes budget bill — here’s why,” NC Policy Watch, 6/6/18. The Senate has voted to override the Governor’s veto and the House has voted once to override with a final vote scheduled for 06/12/2018. NC NOW Legislative Update #12 – vetoes, ERA is HOT topic! 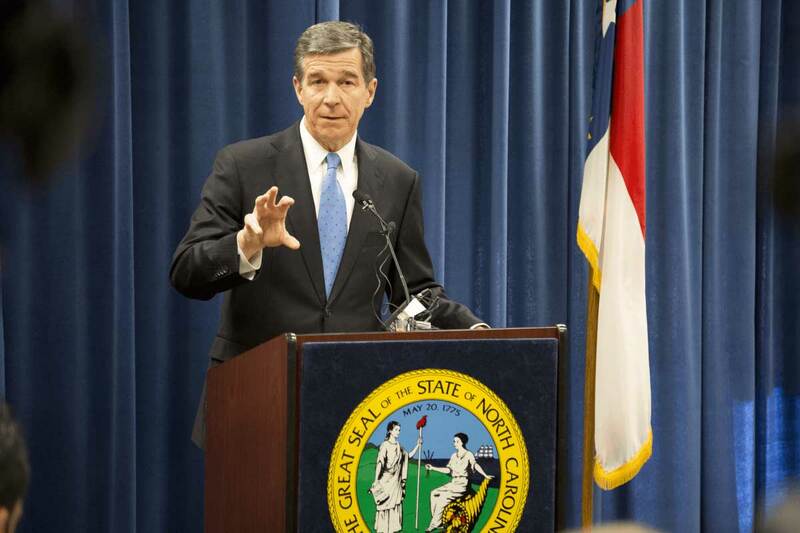 Governor Cooper vetoed two bills. House Bill 239 would reduce the number of appeals court judges from 15 to 12. It was prompted by three Republican judges nearing mandatory retirement age. If the number of seats were not reduced, the Governor would be able to make appointments to fill the vacant seats. In his veto message, Cooper noted that this move is a partisan attempt to pack the appeals court with Republican judges. The legislature is expected to override the veto, just as it overrode the veto of a bill requiring party labels on all judicial races. Clearly, our state courts at all levels are being politicized. The Governor also vetoed Senate Bill 68, which altered the party affiliation of both state and local election boards.